4 Extra Debut. Daljit Nagra introduces Adventures in Poetry - Dear Mr Lee by UA Fanthorpe. Presented by Peggy Reynolds. From April 2012. 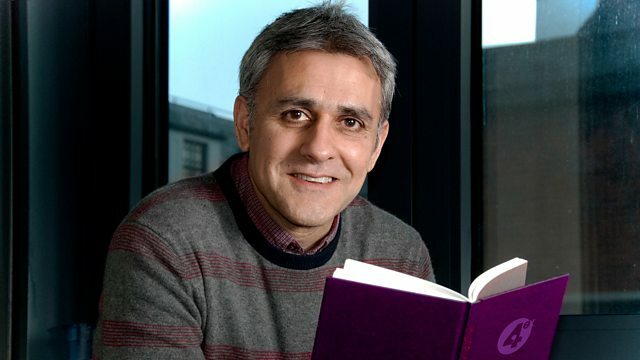 Poet Daljit Nagra revisits the BBC's radio poetry archive with Adventures in Poetry - Dear Mr Lee by UA Fanthorpe. Peggy Reynolds explores the appeal of UA Fanthorpe's poem Dear Mr Lee, written in the voice of a school pupil who has been studying Laurie Lee's classic memoir Cider With Rosie. In the poem, Fanthorpe has captured the enthusiasm and despair of adolescence, as the pupil confesses to 'Laurie' that she loves everything about his book, except the essays she's had to write about it. Part of the poem's success lies in the fact the Fanthorpe herself taught English for many years, and demonstrates an unusual empathy with a student struggling with the demands of the exam system and a rather tenuous grasp of literary criticism. Peggy Reynolds talks to Lee's biographer Valerie Grove, to UA Fanthorpe's partner Rosie Bailey, to poets Michael Rosen and Wendy Cope, to several of Fanthorpe's notable ex-students including MP Fiona MacTaggart, and to some current students of GCSE English and their inspiring teacher, who all bring their own enthusiasms to the poem.